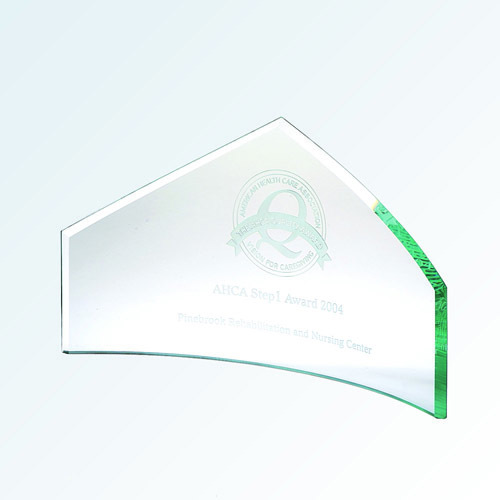 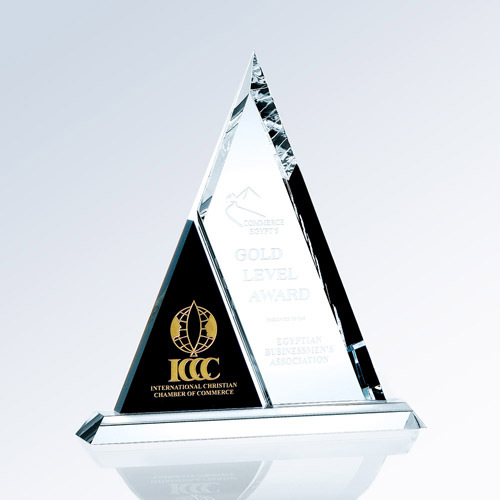 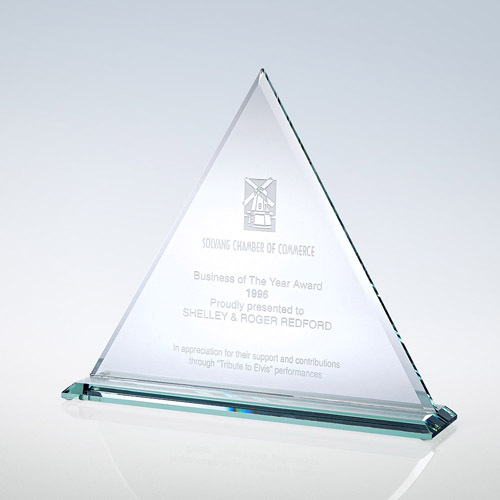 The contemporary triangle award is surely a statement piece ideal for promotions and commemorations .. 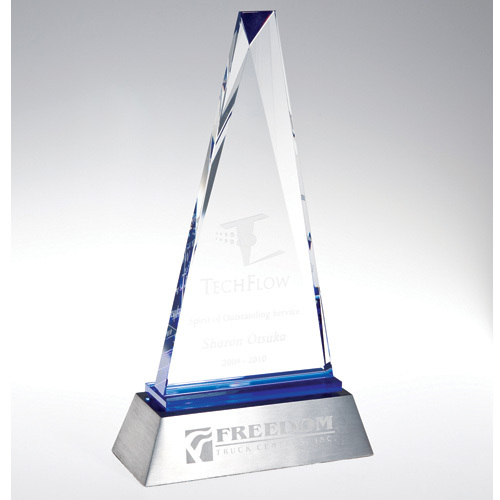 Reward those that reach the peak of success with this 3/4" thick optic crystal & blue crystal tr..
PRISM Exclusive! 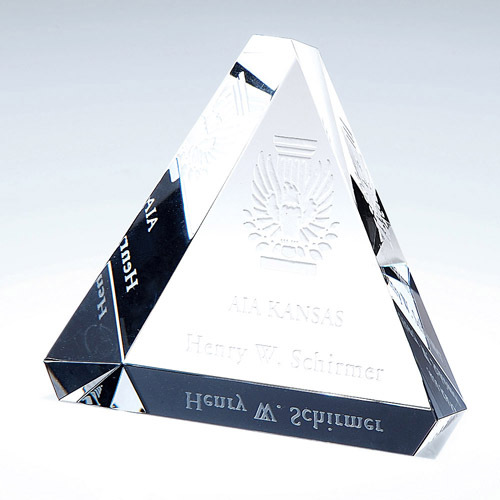 Double the accomplishment with the double triangle. 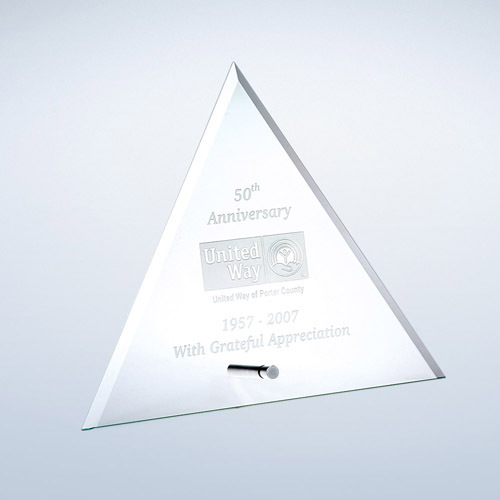 3/4" thick on top crystal bonde..